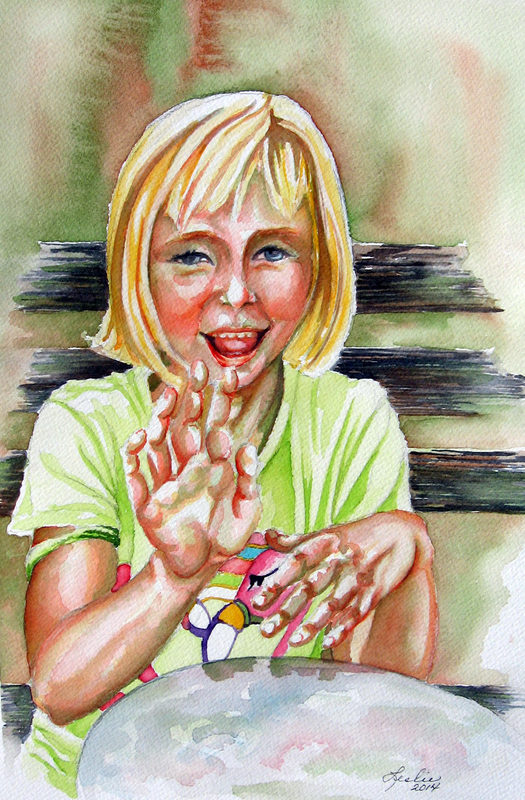 The last thing we practiced in watercolor portraits was rendering hands in a way that they are believable. 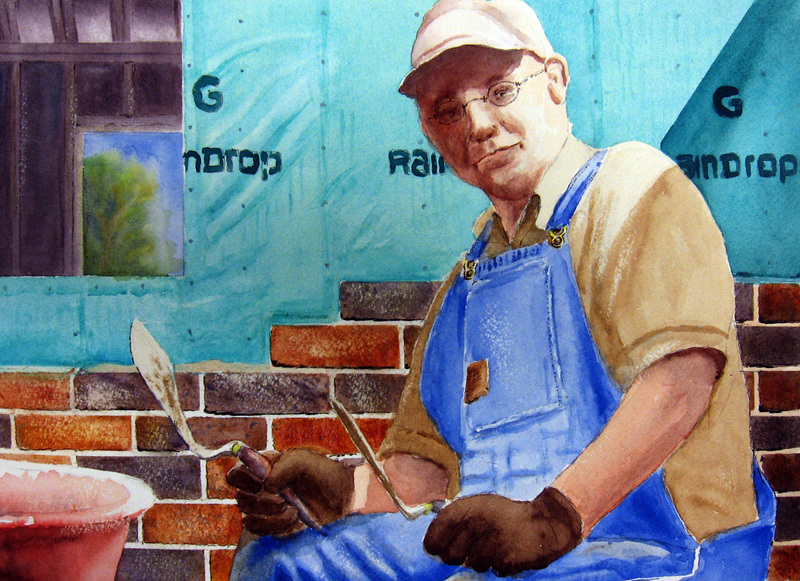 One of the most common mistakes in portraiture are hands that are too small, proportionately. Another mistake is the artist not rendering the parts of the hands that bend by using properly placed cross contour lines to delineate the joints of the fingers and thumbs. Hands without joints always appear gloved and stiff. 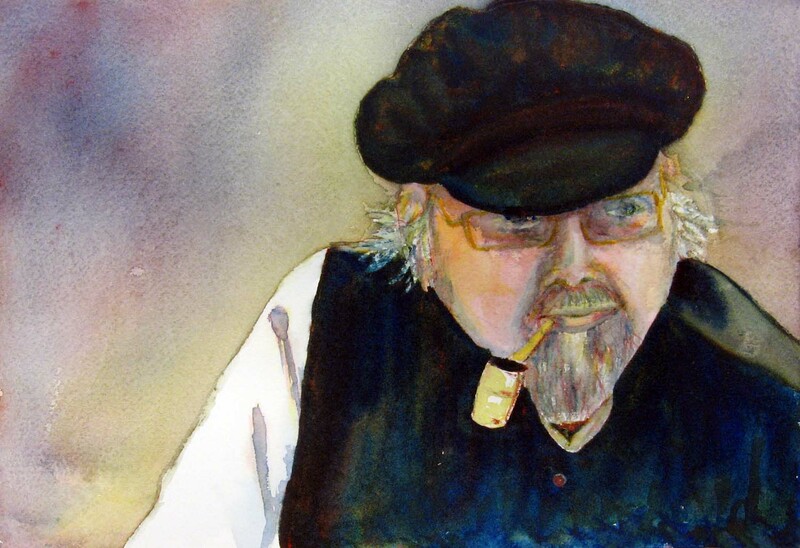 Another watercolor portrait class has ended and I have posted up to two paintings by each artist who took one of the two sessions of this class. 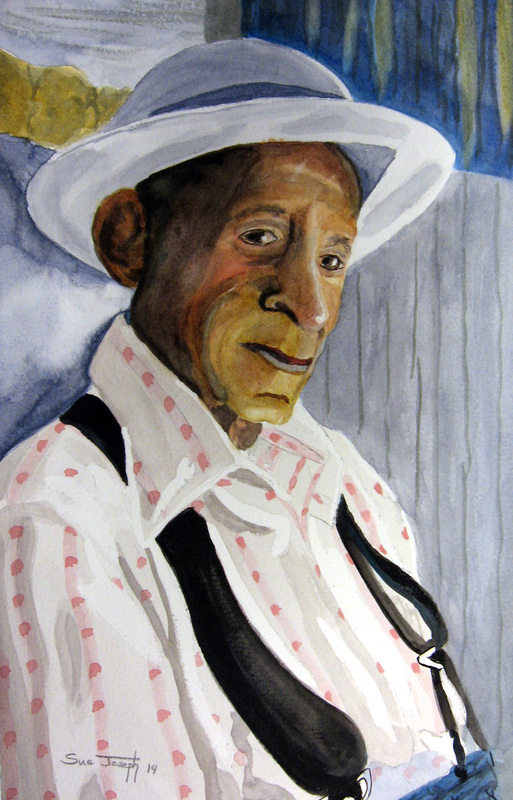 Some of the artists have been painting for years. 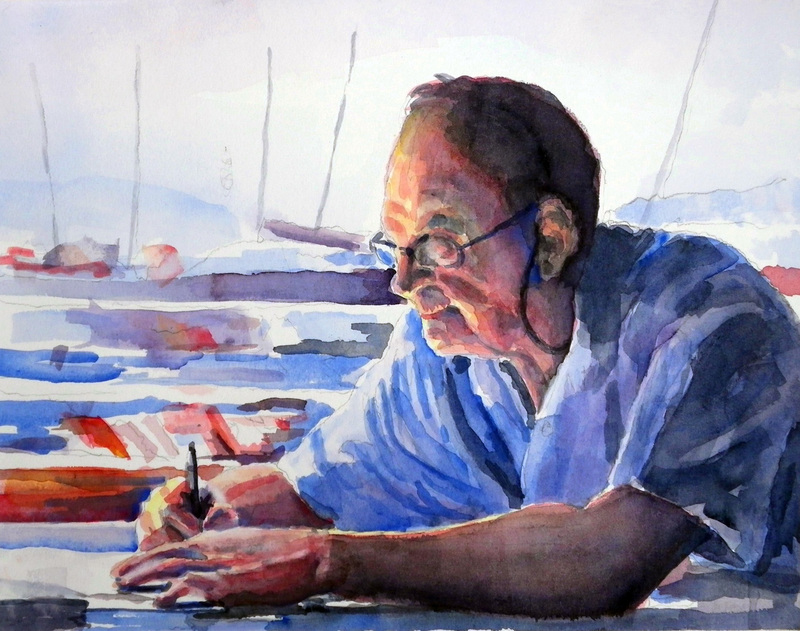 Several have only had one year experience and have come to this class from beginning watercolor, so it is very diverse. They also have very different interests and make different choices about the techniques and references for their creations. how to create a rich and colorful black using yellow red and blue. 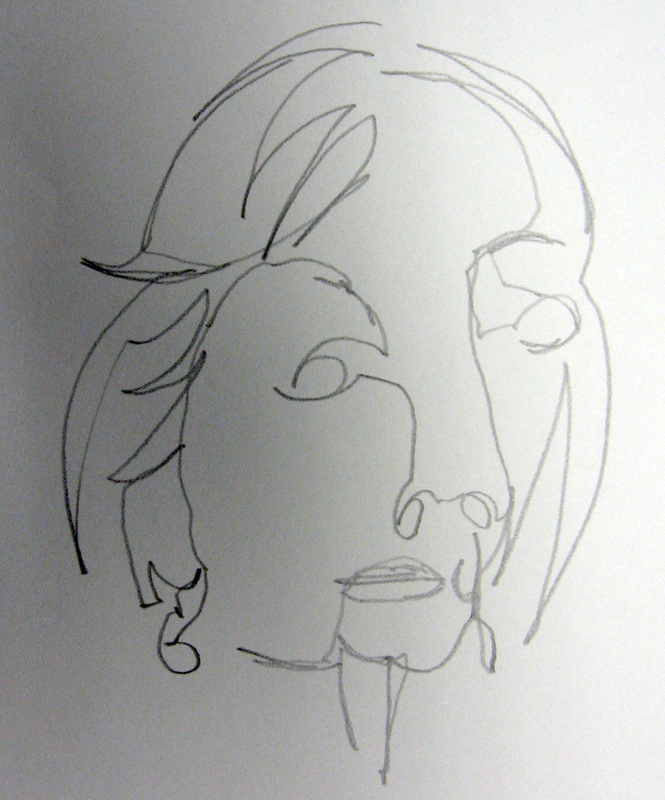 This class was not limited to the human face and included figures in landscapes and animal portraiture. I also handed out a list of watercolor ideas to challenge them to reach. 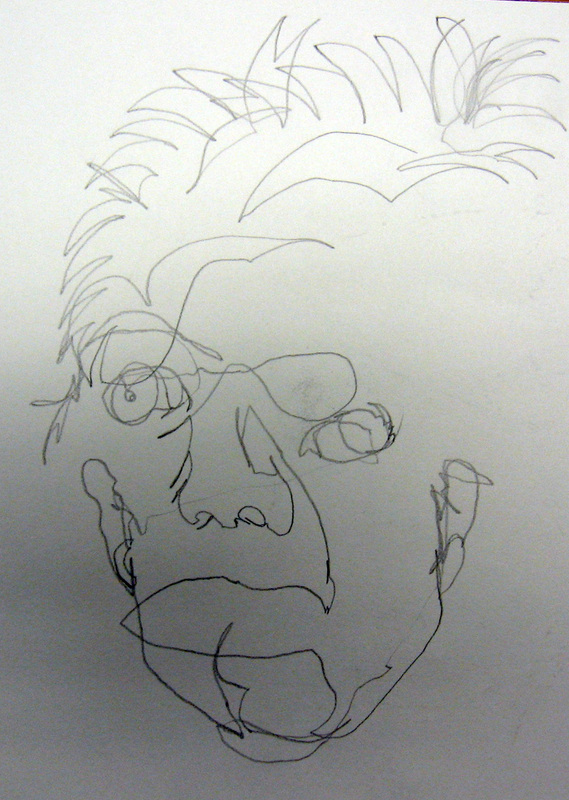 The above portraits show people doing something and suggest a story for the viewer. 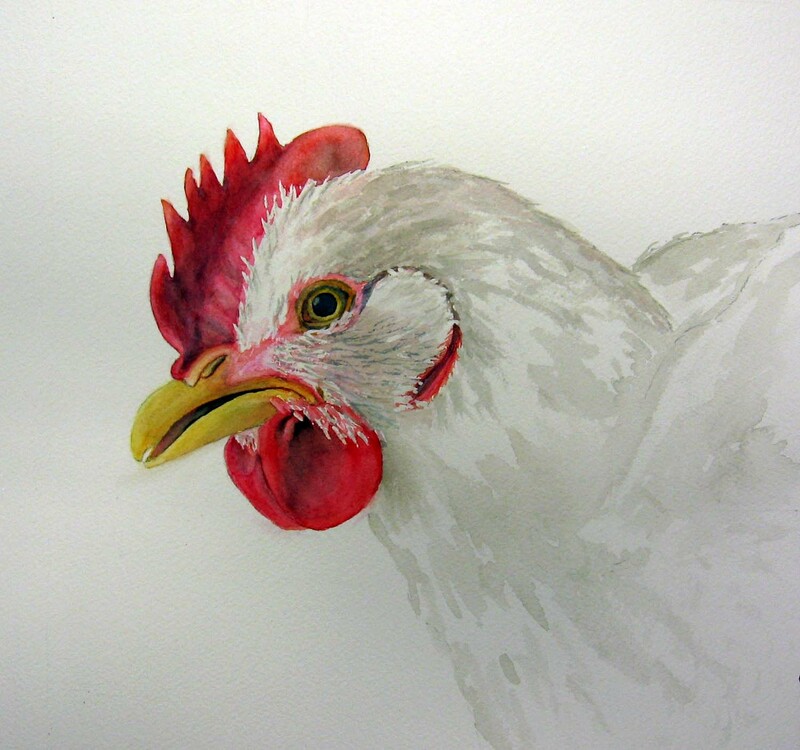 One artist challenged herself to paint white on white. 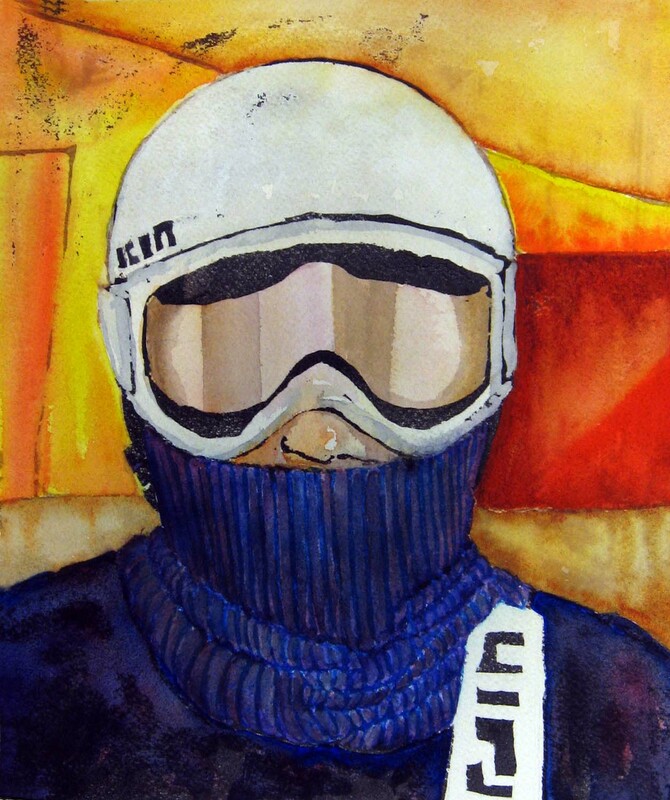 Another artist created a colorful gouache resist of her son in his winter bicycle gear. 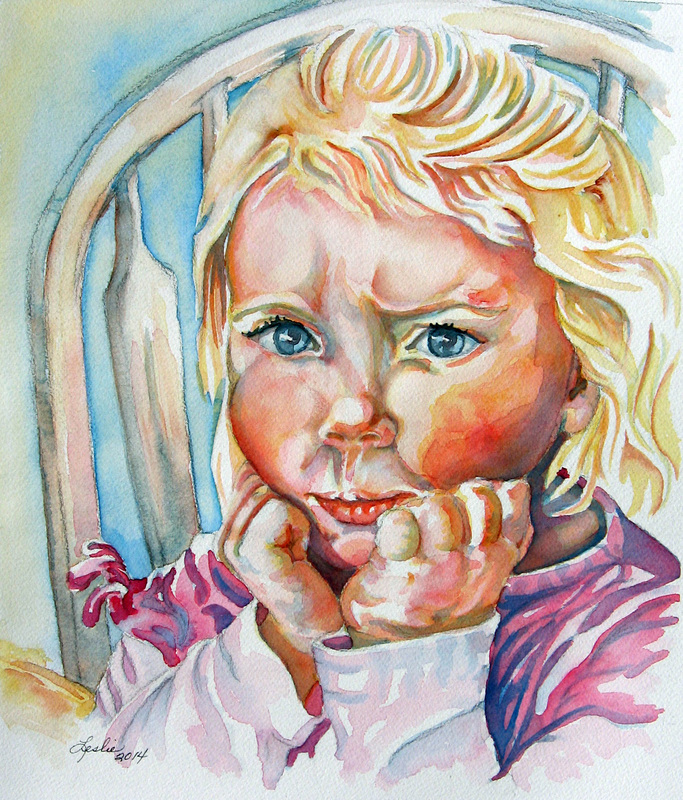 If you would like to view the entire gallery of this fall’s watercolor portrait class, click here. 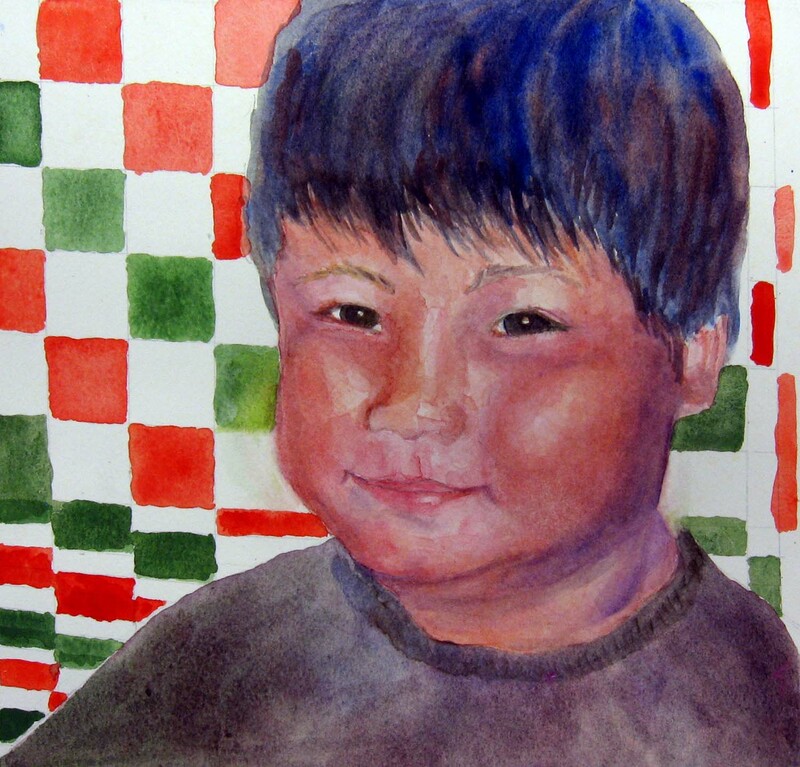 You can also access this page by clicking the link to the Student Art: Watercolor Portraits at the top of this blog page. Thank you to all of you very talented artists for continuing to take these classes and share your work here. I continue to be inspired by your talent and creativity! I was lucky enough to be able to spend time with my three Granddaughters this summer. We went to the zoo and I snapped the reference photo for this portrait right before they rode the train. I am a lucky Grandma. 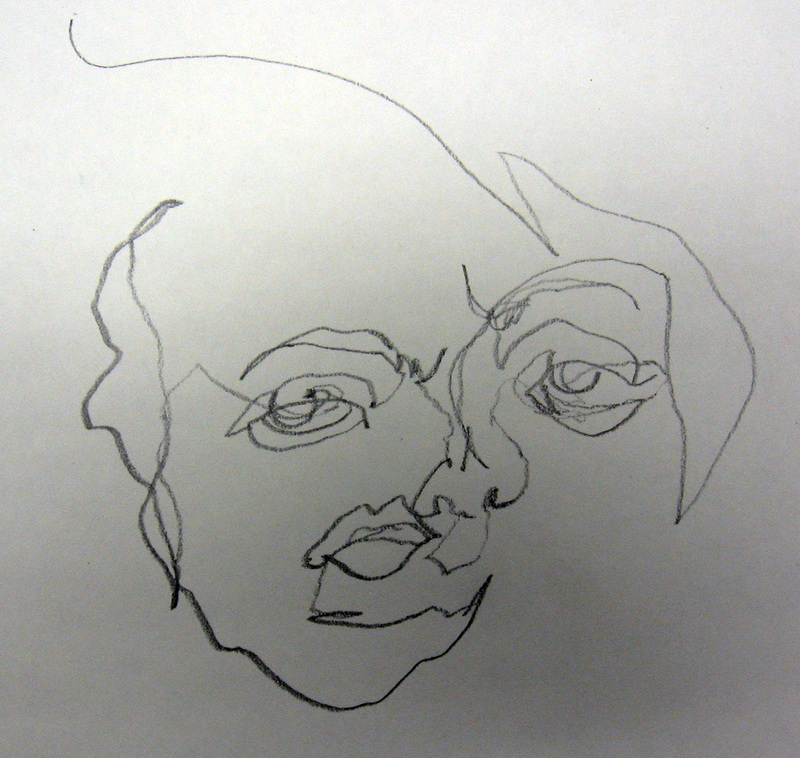 In order to draw this composition, I used a simple grid. I frame the composition that I want from the photo. I use two “L shapes” that I have cut from a matte in order to do this. 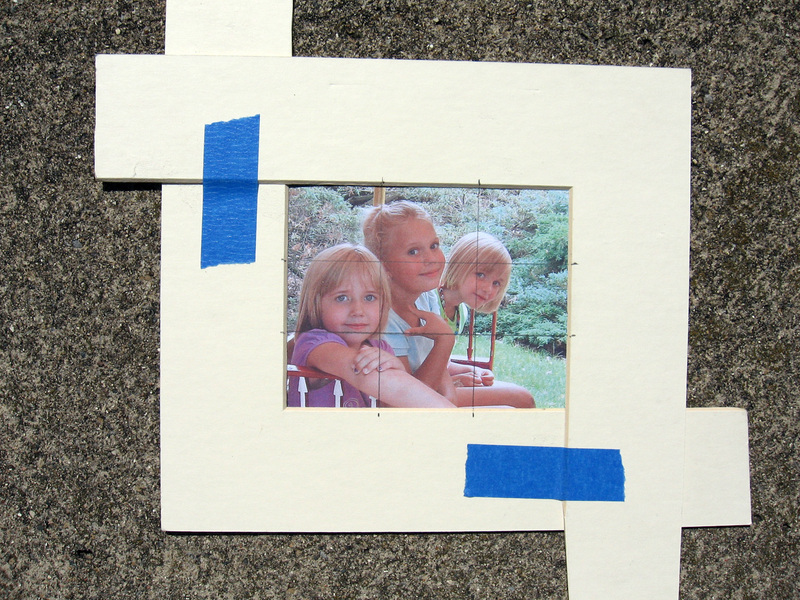 I then draw a grid over the surface of the photo dividing it into three sections vertically and horizontally. This grid helps me to draw the scene or figure in proportion. It also shows me the four areas or “sweet spots” where it is best to create a center of interest. 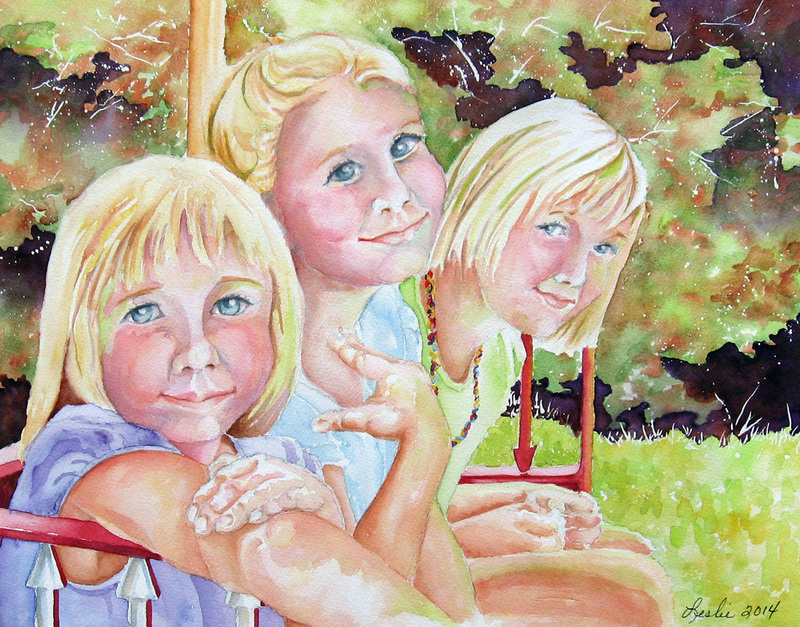 I chose this composition because the foreground and background girls were near and in a good place for a center of interest. I then have to measure my watercolor paper (height and width) to be proper multiples of the dimensions of my reference photo. I grid the watercolor paper (lightly) with graphite and draw my composition. 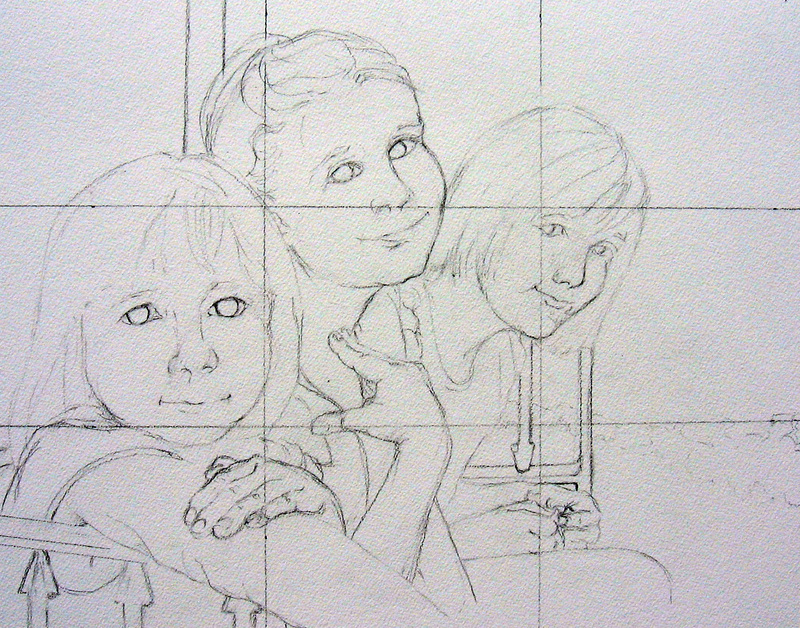 Before I begin to paint, I gently erase the grid lines with a soft eraser. I do not grid everything I create but it helps with more difficult subject material where proportion or likeness is needed.